Vintage Joker Hand Holding Playing Cards Engraving! Today I’m sharing this Vintage Joker Hand Holding Playing Cards Engraving! 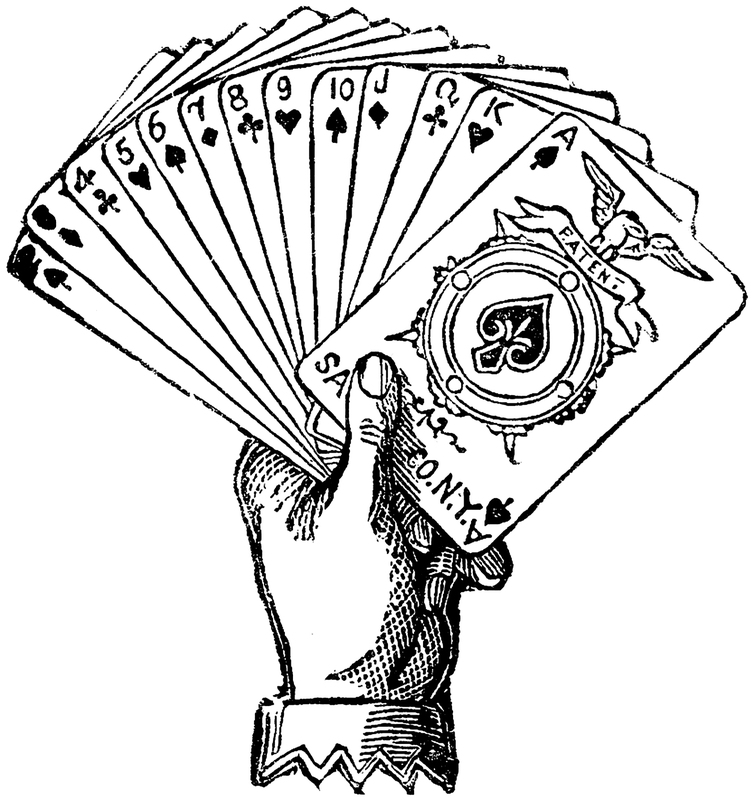 This is a delightfully fun drawing of a hand in a jokers cuff holding playing cards splayed to see the numbers. So nice to use as a Party Invitation or in your Fun Gaming Craft or Collage Projects! 2 Retro Kitsch Calico Stuffed Animal Illustrations – Blue! Vintage Wild Hog with Tusks Engraving! Elegant Nostalgic Pedal Car with Cute Boy Image!